The University Aula in Oslo was formerly the location were the Nobel’s piece price was awarded. The marble walls in the University Aula are covered with 11 large paintings made by the famous painter Edward Munck. To avoid water damage to the paintings as well as damage of the marble walls, a special solution for fire protection was needed. A consultancy-engineering company together with the Department for Protection of Cultural Heritage contacted VID Fire-Kill to get such a solution made matching the strict requirements. 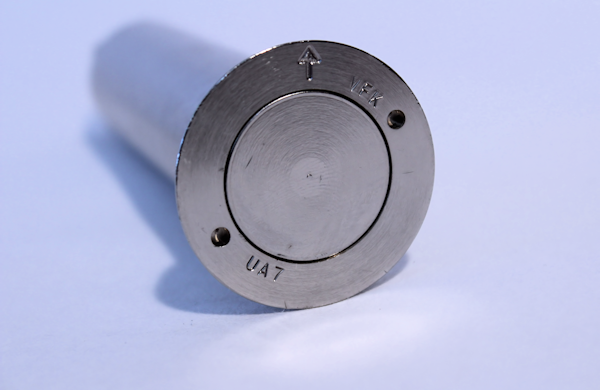 Not more than 3 months after the inquiry a solution was developed, successfully tested by an ISO 17025 accredited laboratory and accepted by the authorities having jurisdiction.The final product was called Model AU7 and is specially designed for protection of large multiple seating areas with horizontal fire protection only. 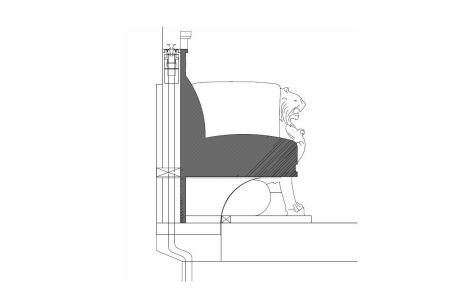 With horizontal protection the height of the room is not a limitation for the nozzles. The nozzles can each cover 9m into the room, and at the same time do not spray water backwards ensuring that wall painting etc. are not wetted and damaged. – The solution ensured that no damage had to be made to the wall marble. 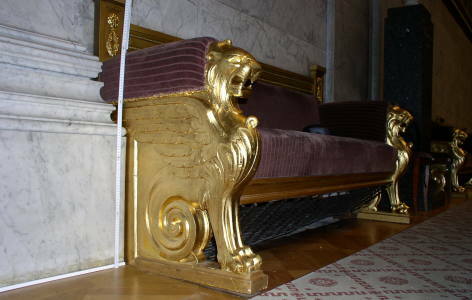 In the Oslo University Aula, the Model AU7 Nozzles were installed into the backrest of gold plated sofas with the nozzle topplate flush with the backrest surface. It was the only place the nozzles could be located. In case of fire the nozzles would be operated through deluge control valves and the fire detected with flame and smoke detectors.